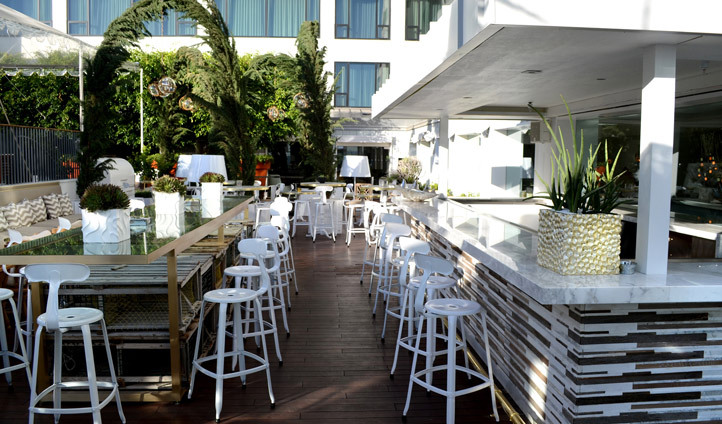 Situated amongst the gourmet restaurants and thriving nightlife of the Sunset Strip, Mondrian Los Angeles is a perfect spot to explore West Hollywood. With 237 stylish rooms, there are plenty of options to choose from. This luxury boutique hotel also offers an amazing open air swimming pool and Skybar that boasts some of the best panoramic views of Los Angeles and Beverly Hills. This centrally located hotel captures the vibrant energy and ultimate glamor of West Hollywood with some of the best clubs, restaurants and stores right on your doorstep. Directly across the street from the Comedy Club and the iconic Hollywood Hills, this prime location will make sure you’re able to sample all this town has to offer. Choose from a fine range of exquisite suites, each created by Puerto Rican designer Benjamin Noriega-Ortiz and offering contemporary, distinctive décor. The rooms benefit from fabulous bamboo flooring and a rainfall shower to really enhance your stay. For dramatic views, choose the balcony suite with a private terrace complete with chic outdoor furniture.